It’s now officially less than 24 hours until I am off on my two-month overseas adventure in Southeast Asia. This time I’m going with a different perspective as to how I possibly would as a regular holiday-maker. As a budding travel blogger and writer, I want to explore, write and really uncover places. I have done months of research and been told so many things from different sources about each place I have chosen to go to. While I always appreciate other people’s advice, knowledge and opinions, some places that I have been told to skip, I’m still going to go to. I wish to make my own opinions. Why shouldn’t I go somewhere just because they didn’t enjoy their experience? I wish to see the places I’ve chosen for specific reasons, and I’m diving in head first. As I am travelling solo for most of this trip and organised everything myself, it’s easy to second-guess myself and wonder if I’m making a big mistake somewhere along the way. But even if I have, as always, mistakes are valuable lessons to be learned, and perhaps others can learn from them as well. 1. Is Bali just as magical to visit the third time as it is the first? 2. Will I be treated any differently as a travel blogger compared to when I was a regular guest? 3. Should I have skipped Jakarta like everyone told me to? Or is it worth visiting? 4. Has Bangkok changed since I was last there 4 years ago? 5. 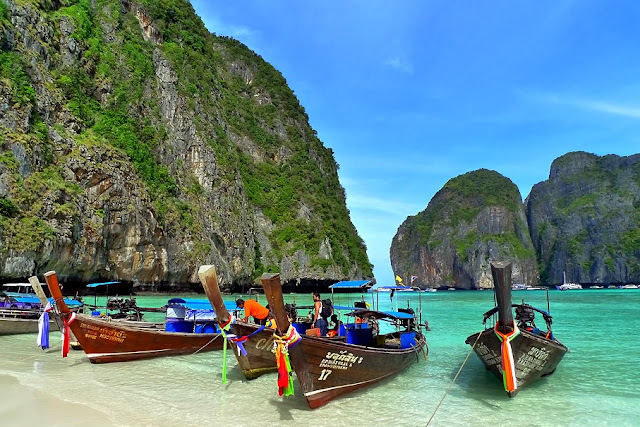 Was Krabi a good idea to visit during the Monsoon season? 6. 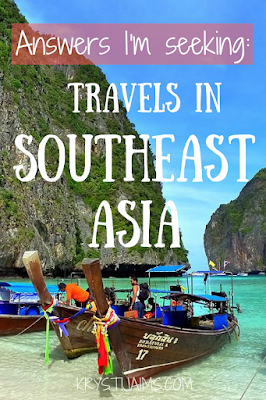 Should I have missed Phuket and gone somewhere less touristy? 7. Do I still love Thailand just as much as from my first visit? Or was I wearing rose-tinted glasses back then? 8. After exploring more of Thailand, what is my new favourite place? Koh Lanta? Chiang Rai? 9. Is Siem Reap really the awful place I hear about? Is it really only worth going to just for Angkor Wat? 10. Is it safe to travel Southeast Asia alone as a female? 11. Is it difficult crossing borders by land to Myanmar and Laos? 12. Is Hoi An going to become the new Bali? 13. Do I regret going to any of the places I went to? 14. What was my best experience? 15. What was my worst? 16. What’s something I wish I had brought with me? 17. What’s something I didn’t? 18. What was my favourite day? 19. What would I do differently next time? 20. What have I gained from my two months of travelling? I thought twenty questions was a good round number. So there we go! I look forward to answering them in a couple of months time. My next posts will be coming to you live from my first stop, Bali! I hope you follow along with my adventures, here I’ll be writing weekly travel diary type updates as well as my regular destination guides and tips from each place, reviews, food posts – all sorts! I’ll also be posting vlogs and travel videos on my YouTube channel, as well as plenty of pictures on Instagram. Right, I best be off to finish packing!